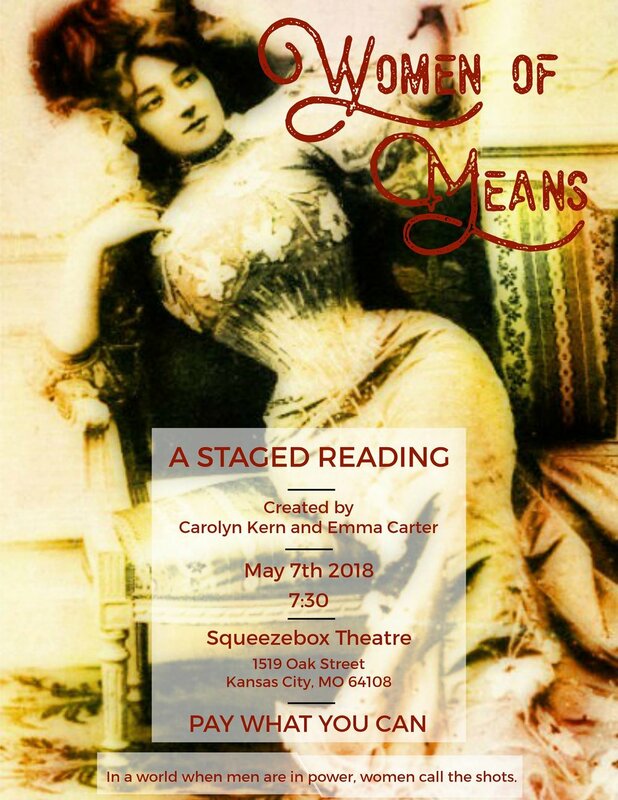 This month kicked off with a staged reading of Carolyn Kern's WOMEN OF MEANS, a pilot episode for a TV series I sure can't wait to see come to life. I read for the lead role of Dora, AKA "Missouri Mae." Under the fearless direction of Emily Swenson our fantastic cast, which also included Katie Gilchrist, Nancy Marcy, Sam Cordes, Brianna Woods, Ellen Kirk, Stefanie Stevens, J. Will Fritz, Curtis Smith, and Lydia Miller, we put together a reading with only one four-hour rehearsal. A big thank you to Squeezebox Theater and to everyone who attended! I can't wait to see where this series goes. WICKED CREATURES will be receiving a staged reading on June 13th in New York City as part of the First Breath New Play Reading Series, presented by the Harold Clurman Division and Stella Adler Studio for Acting. This event is FREE and open to the public. Please note: there will be no late seating! Readings will be presented at the Stella Adler Studio, 31 West 27th Street, Floor 2, NYC 10001. Synopsis: Three Victorian women living on the outskirts of society kidnap a young scholar and force him to take part in their scientific experiments, all in pursuit of creating the perfect female contraceptive. "About First Breath: One year ago the Harold Clurman Playwrights Division launched a search for new plays by women playwrights. Out of nearly 100 plays submitted, four will be read in the First Breath New Play Reading Series. New plays by Emma Carter, Jordan Puckett and Julie Richardson will be part of the series from June 11-14, 2018." and stage directions read by Adriane White.